While your retirement date may be some years (or decades) down the road, the actions you take today will determine your success in achieving your goals. We will help you put a plan in place and regularly review it to help you pursue your retirement dreams. 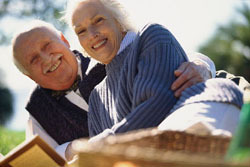 Planning for your retirement years now will help you work toward a dignified and desirable lifestyle in the future.